Each day in Northern Ireland, scammers cost people, businesses and the economy tens of thousands of pounds and cause emotional distress and harm to the victims and their families. Scammers are getting better and better at making people give them money. In February 2019, two people in Northern Ireland lost almost £20,000 each. Once you understand how scammers operate, the better equipped you are to protect yourself. The article below is from Reuters News Agency and describes the hiring process of scammers in India’s call centres. “People wanted to leave rather than be involved in something they suspected was illegal, he said, but carried on because managers offered weekly incentives, such as cash or gadgets, for meeting their targets.”… Read the full story here. The people that call you know exactly what they’re doing and are extremely well trained in social engineering. They know what to say, when to say it and they also know how to confuse and distract people and force them into making the wrong decision. Here’s another article, from the BBC this time, that explains how the data that was stolen from TalkTalk, was used to carry out a scam on tens of thousands of TalkTalk’s customers. “TalkTalk customers are being targeted by an industrial-scale fraud network in India, according to whistleblowers who say they were among hundreds of staff hired to scam customers of the British telecoms giant. The only way to protect yourself from a scammer like this is to hang up immediately and block their number. Don’t get drawn into a conversation with them, just put the phone down. This type of scam can often ruin individuals and families. Scammers will create fake profiles on social media sites, phone apps and legitimate dating websites using photos stolen from other people on Facebook. These profiles are then used to try and enter into a relationship with you. These scams can run for weeks, months and even years, just so they can get your money. Eventually at some stage of the relationship, the scammer will ask for money for an emergency or travel to visit you. The scammers are completely heartless and have no morals. They will lie about illness, a family crisis or an injury or illness. They will normally be overseas in the Phillipines, Russia or Croatia. They may even send you a small gift or letter through the mail. Protect yourself by never sending money of giving personal details to anyone you meet online. Do a reverse image search on Google to see if they are who they say they are. Never share intimate pictures or videos as these will eventually be used against you. This type of scam is usually computer prediction software for the stock markets or real estate, managed funds or shares. The scammer will initiate contact with an email or phone call promising “high returns guaranteed” or something similar. If it seems like it’s too good to be true then it usually is. These companies will always have legitimate looking website or brochures to try and trick you into thinking they are a real company. To protect yourself, always use a trusted local financial adviser and mark any such emails as spam. Don’t let anyone pressure you into making decisions about financial investments. Ask yourself: if you knew a secret to making large amounts of money, would you be calling strangers out of the blue and sharing your financial secrets with them? These types of scams are made to frighten people into parting with their money. They may threaten you with arrest for unpaid fines, speeding tickets or unpaid taxes. They will increase pressure by telling you that they will be sending the police to your house. These ruthless scammers will target the most vulnerable in society, such as young people, elderly people and new immigrants. Immigrants will be threatened with deportation unless they pay large amounts of money to correct errors in their visas and other travel documents. The scammer will also appear to be from a trusted company such as banks, electricity suppliers and phone providers. Protect yourself by remembering that a government agency or a trusted company will never call and demand that you pay a fine immediately. Verify the identity of the person by calling the company or the government centre yourself and find the contact number from an independent source such as a phone book, internet search engine or the company’s legitimate website. Do not use the contact details displayed in the email or given to you during a phone call. Also known as remote access scammers, they will call you on the phone claiming that your PC has been infected by a virus. They will try and sell you software and they will always try and gain access to your computer through remote access so that they can steal your personal information and install malware that will record everything that you do on the computer. The scammer will then have complete access to every password for every website you visit. Protect yourself by remembering to be wary of free music, games, movies and free access to adult websites that would normally require a payment. Keep all of your devices operating systems and software up to date. Store your backups offline on a USB drive. Do not open attachments or click on social media links or text messages sent to you by strangers, just press delete. 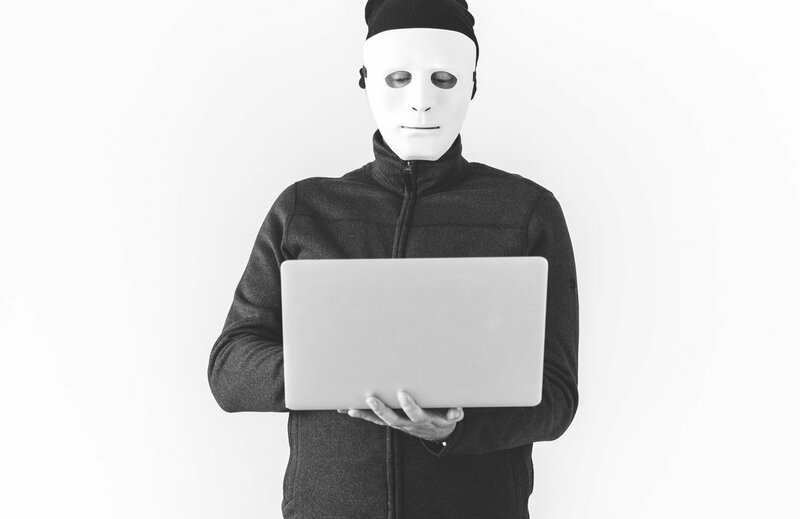 First of all, if you have been unlucky enough to have been scammed, turn off all computers, laptops and mobile devices including your phone. Contact the police and your bank. All scams should be reported to Action Fraud, you can read more about it at the NI Direct website. Contact us to scan, backup, clean and reload all of your devices if necessary. If you need any more advice or are worried that your personal information has been compromised, contact us in full confidentiality here or call us on 028 2588 0582.